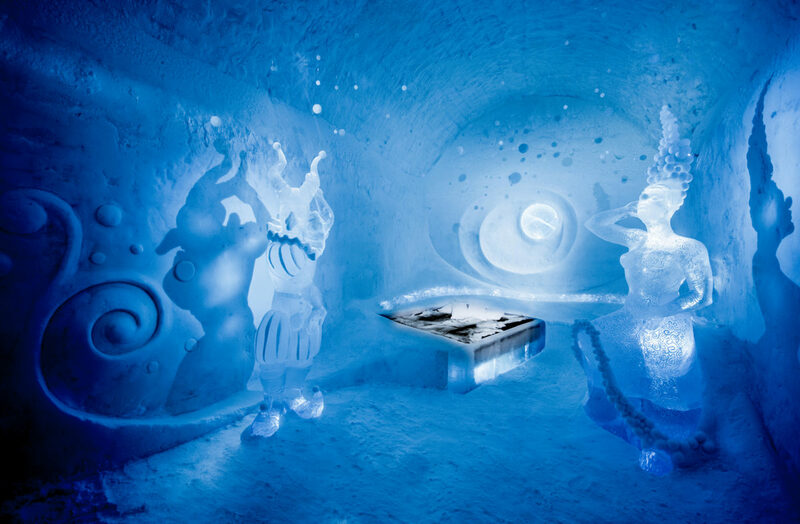 The story of Icehotel starts in 1989, when it became the world’s first and largest hotel made of ice and snow. It’s also Sweden’s most unique and probably most extensive private art hall. Each year it’s reincarnated in a new guise, carefully designed and hand crafted by some 70 artists from around the world. 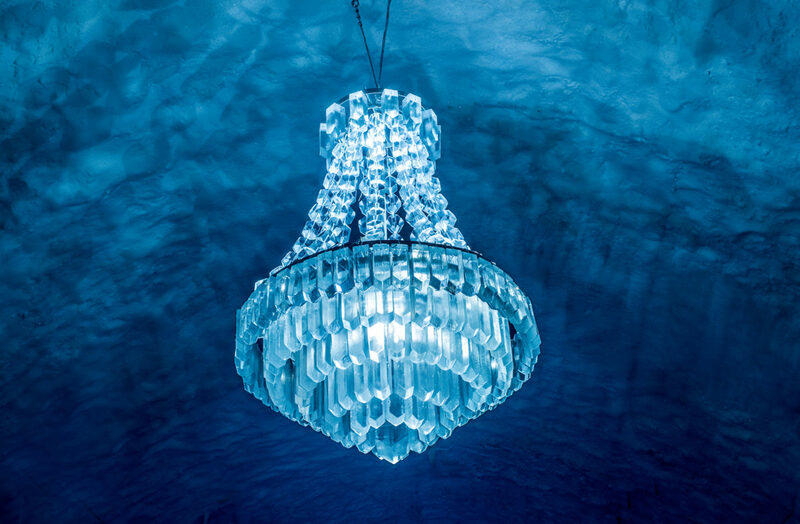 With the opening of Icehotel 365 you can experience the new permanent ice art hall housing nine Deluxe Suites as well as eleven Art Suites. 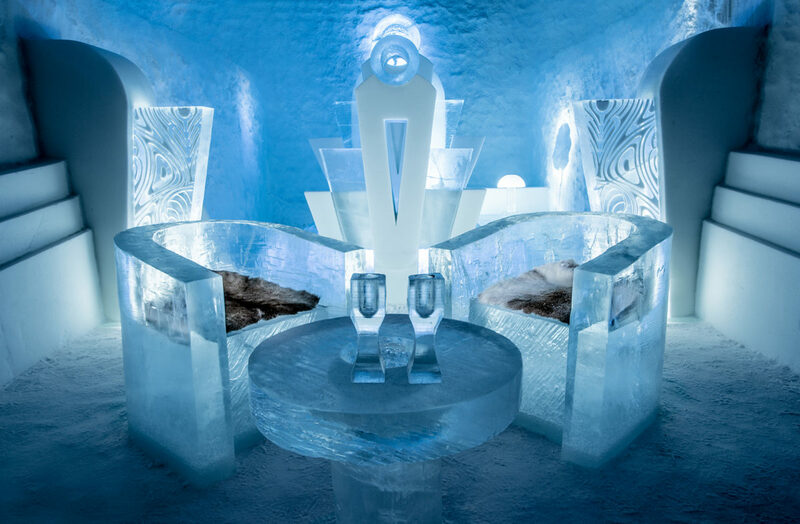 The structure also holds a pristine ICEBAR and ice gallery. 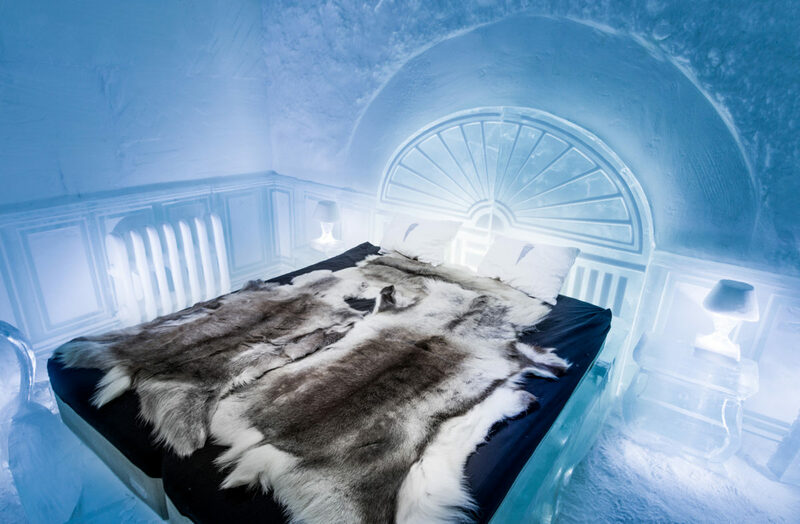 The activity starts and ends at ICEHOTEL Jukkasjärvi. We can also book the round trip transfers for you, please contact activity desk. Price: 349 SEK/person, student/senior 249 SEK/person, children 5-7 years 125 SEK. 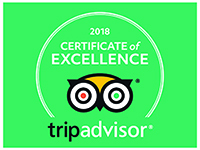 The price includes: Entrance ticket to the ICEHOTEL. Departures: Daily, guided tours in english at 12.00 and 16.00. Daily, guided tours in swedish at 10.00 and 14.00 until April 15.